by Jane Chuck. 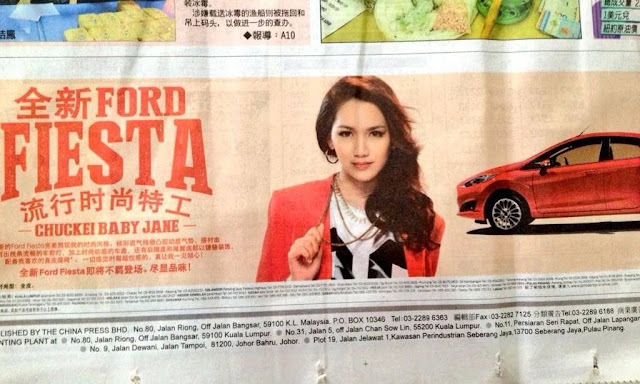 : IM ON THE NEWSPAPER!!!! Finally get to update about my project with Ford!!! I can't describe how weird and amazing to see myself on the newspapers, it's one of the biggest thing ever happen to me. Appearing not as a model, but a personality, being me, myself as a fashion lover. All thanks to Ford for having me! 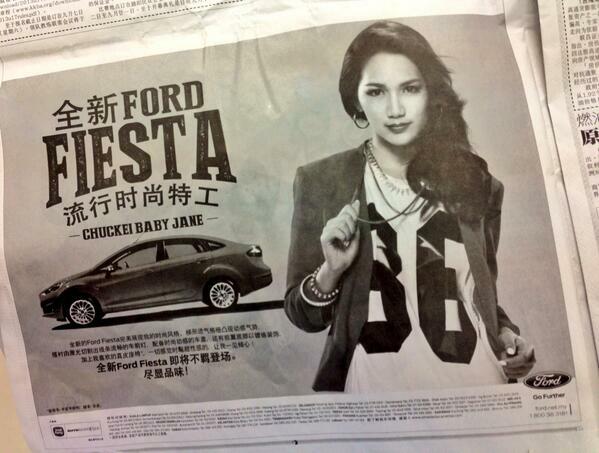 Winners for #MyFiestaMovement and the girl with tattoos, Jsezy Ng is the Fashionista Winner! Why Jsezy? I personally have a thing for tattoos, and girl with tattoos is so so so cool! She has the style, the personality, the tattoos, I couldn't find anything that why I shouldn't pick her. I'm glad to meet her in person last week at the photoshoot for the upcoming Ford ads! Basically I'm the sweet chick and she's the rocker chick. It's quite funny cuz the photographer wants me to do all k-pop ish thing, which is so not me but I guess I pulled off! I'm more the cool chick type of girl actually :P Jsezy was in a struggle at first but she did a great job after warming up. I think we did a real great job! Hi what is your height?